An outward mindset precedes leadership. Record the reason you want to improve your listening skills. Purpose energizes growth. What advantages for yourself and others do you see in becoming a better listener? Write until you record all your ideas. Wait. Write some more. Write about the best listeners from your past. What made them good listeners? Think beyond their actions to their attitude about themselves and you. Consider their motivations. Make a list of the best listeners on your team. Explain why they made the list. Identify three qualities, motivations, or behaviors they regularly exhibit. Jot down one thing you might learn from the best listeners on your current team. Invite your team to work on their listening skills with you. Shared projects strengthen respect, elevate enjoyment, enhance follow-through, and fuel progress. Schedule listening walk-abouts once a day. Walk around listening to learn and connect. During the process leave a bit of yourself with everyone you engage. Debrief with your team. What are we learning? #1. Listening saves time. Stop answering questions that aren’t being asked and solving problems that don’t exist. #2. Talent goes to sleep when leaders give all the answers. #3. Answer-givers end up needing to give more answers. Teams become dependent. Individuals learn to wait, rather than taking initiative.. Leaders becomes overworked and overwhelmed. #5. Listening is the path to learning. How might leaders take their listening to the next level? Thanks Kathy. It’s useful to receive feedback about something that gets traction with my readers. I put “Listening saves time,” first. I thought it would get the most resonance. Thanks for sharing your feedback. How can we learn the Non judgmental aspect of listening? Can You Help with some tips Dan? The simplist approach I have used is keep asking “Why?” Questions. Why questions draw out the reasoning of the person’s logic. So I changed the image because of the initial feedback. Dan, What is your favorite book on growings in the skill of listening? I’ll think about that, Todd, and get back to you. Thanks for asking. Two things struck me immediately and both deal with your suggestion herein and prior posts about “walking around” amongst the workers; walking around to engage in conversation and walking around to listen. A balance of both leads to great leadership. Nice! Thank you SGT. You put that together well! Another great post. It is also time for me to say ta-ra to commenting on your blog, which I have enjoyed immensely, I raise my hat to you Mr Dan Rockwell! Although, in saying this I do hope to be able to visit your blog and comment occasionally, time permitting. Take care Dan Rockwell and followers! Thanks Thinker. I’ll keep my eye peeled for your occasional comment. #3 really resonated with me. With Answer-Givers, “Individuals learn to wait, rather than taking initiative.” and “Leaders becomes overworked and overwhelmed” In a job I loved for 17 years, I became overworked and overwhelmed. I was oftern told I needed to delegate more. “Individuals learn to wait, rather than taking initiative” really explains why. I regret it took me so long to realize that instead of helping them, I was holding them back. I love the picture with the second reason to listen: “Talent goes to sleep when leaders give all the answers.” And #3 explains why. As usual Dan, insightful and practical advice for developing win-win cultures. Thanks Jackie. It’s often hard to see that we are the cause of many of our own frustrations. I’m glad you shared a bit of your story. Thanks also for your feedback. One thing I really enjoy is reading what others think! Thanks Jackie. Time is a key factor. Overall, listening takes less them than not. However, there are some situations when listening less and solving or directing are appropriate. Everything isn’t a development opportunity. Great post! Listening is also about asking the correct open ended questions to explore the other opinions on a deeper level. Exactly right. Open ended questions is the key to great conversation and coaching. Dan–like you do with us. Start by asking question that you really want to explore and gain insights as to what people are thinking and feeling. .
Great post! This is a great skill to work on as a leader but also as a parent of a teenager and a college junior. Sometimes I find myself giving them all of the answers rather than letting them solve things on their own. A text from my 20 year old last night read “I am figuring it out. Let me deal with it. I know it needs to get done and figured out and I am working on it”. Guess its time to land the helicopter with her, and most likely my direct reports as well. Thanks Barbara. LOVE the illustration. You might like to know that our children respect us more if we let them struggle and then they come to us for some suggestions or support. But if we rush in, they push us away. Easy to say. Hard to do. I think I hear the rotor on your helicopter winding down. Strange feeling. Stop giving answers, ask more questions. I have found this improves everyone’s listening skills. Thanks Jim. At lease everyone has to listen to questions! 🙂 … Frankly, listening to questions seem to activate people’s thinking. Dan and followers, here is a listening test for you to take. I have used this as a warm-up exercise with clients. Most people fail it. How well do you think you listen? Well, I am going to give you a test – yes, a three-minute timed test – to see how well you follow directions. Oh, the test won’t count too much, but I am interested in how well you do on it. When I tell you to, I want you to read everything before you do anything, and follow the directions on the test exactly. Please leave the test face down on the table until I tell you to turn it over and begin. Remember, it is a timed test. Hand out the one page test. Okay, turn the test over and begin. TEST – Can you follow instructions? 1. Print your name in the upper left hand corner of this paper. 2. Sign your name in the upper right hand corner. 3. Above the title of this test, print 123-456-7890. 4. Immediately above this number, print your area code and telephone number. 5. Add those two numbers together and put a box around your answer. 6. Circle the word “corner” in sentence one. 7. Draw two boxes around your signature. 8. Put an “X” on each side of each box. 9. Put a circle around the entire second sentence. 10. Put a “0” in the lower left hand corner of this paper. 11. Draw a triangle around the “0” you just wrote. 12. Draw a circle around the word “corner” in sentence number 6. 13. Put the name of your instructor in the lower left hand corner of this paper, next to the “0” and triangle you have drawn there. 14. Circle all of the odd sentence numbers. 16. Count from one to ten in your normal speaking voice. 17. Loudly call out your last name when you get to this point in the test. 20. Now that you have finished reading carefully, do ONLY what you were instructed to do in sentence one. I was reminded of a quote by Stephen R. Covey when reading through this post – ‘most people do not listen with the intent to understand; they listen with the intent to reply’. Thanks Libby. I think it’s true. 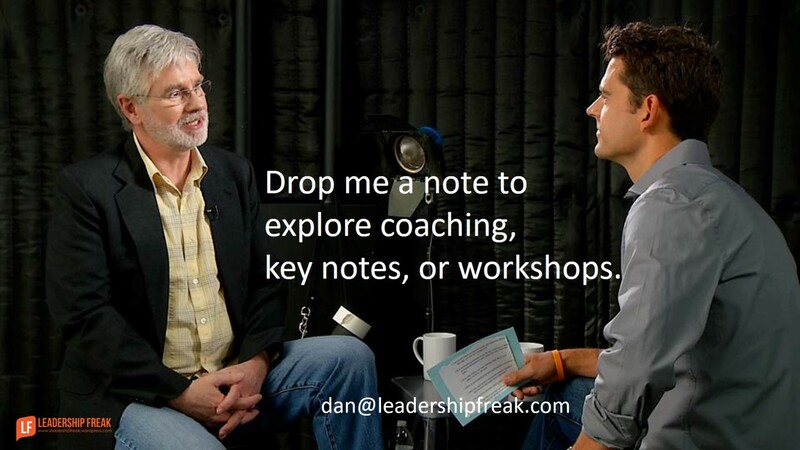 Good one Dan… listening feeds the leader… giving all the answers just feeds the ego! Thanks John. Great connection between ego and listening. It takes humility to sincerely listen. Glad you mentioned it. Thanks wise… Brilliant. You’ve become aware of some unintended ways you intimidate others. I find that intensity often causes others to shut down or pull back. It feels like pressure or competativeness, even if we don’t mean it that way. Calmness of spirit doesn’t have to be weakness or lack of focus. Dan, I was especially drawn to your thoughts on listening strengthening connections and as a path to learning. For myself this resonated and got me thinking about my own leadership skills as it pertains to intuition and emotional intelligence. Taking the time to listen not only helps to build those relationships but promotes learning as well. Its easy to get lost in the pace of the day and lose sight of the humanistic element of leadership that these folks are people with emotions and taking time to listen to them, allowing them to vent and knowing when the right time to let them express themselves to me is leadership. I agree 100% Dan. Understanding but practicing emotional intelligence and as you said, realizing that these are people and going out of your way as a leader to not just listen but tune yourself into what’s happening in their life goes a long way. Excellent Dan. “Listening is the path to learning.” Yes, but I find most people are not willing to listen to things they have not thought about. Correction please: Change ‘thought about ‘ to ‘thought of by themselves’. Thanks Dan, Listening saves time and helps us learn more. I really liked all the thoughts.